A day after his much-criticized news conference with Russian President Vladimir Putin, President Trump attempted some damage control Tuesday, saying “I accept” the findings of the U.S. intelligence community that Russia interfered in the 2016 presidential campaign. During his news conference along side Putin in Helsinki on Monday, Trump stated he didn’t see “any reason” why Russia was responsible for hacking the 2016 election, as U.S. intelligence agencies have found. The top Democrat in the House, Minority Leader Nancy Pelosi of California, said in a statement that Trump’s remarks Tuesday “embarrasses our nation even further.” Pelosi also wondered whether they actually signaled a change in the president’s approach to Russia’s leader. “Will he finally take on Putin? Has he called Putin to convey his newfound confidence in our Intelligence Community? Will he demand the extradition of the 12 recently indicted Russian nationals …?” Pelosi also wrote. Trump walked back his comments after top Republican congressional leaders implicitly criticized Trump’s initial remarks in Finland. 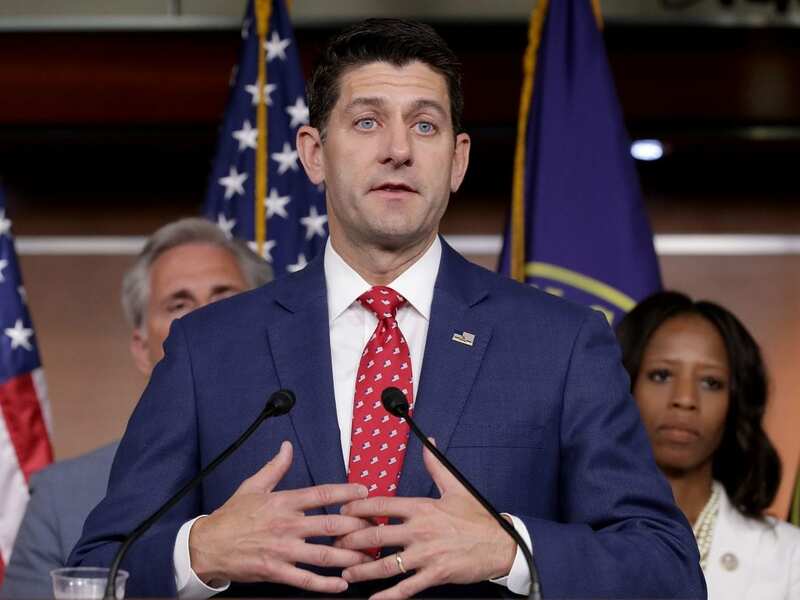 House Speaker Paul Ryan, R-Wis., told reporters Tuesday that Russia “did meddle with our elections” and said he would consider further sanctions against Moscow. “We stand by our NATO allies and all those countries that are facing Russia aggression. How many times have I stood up here and told you what I think about Vladimir Putin? Vladimir Putin does not share our interests. Vladimir Putin does not share our values,” said Ryan.